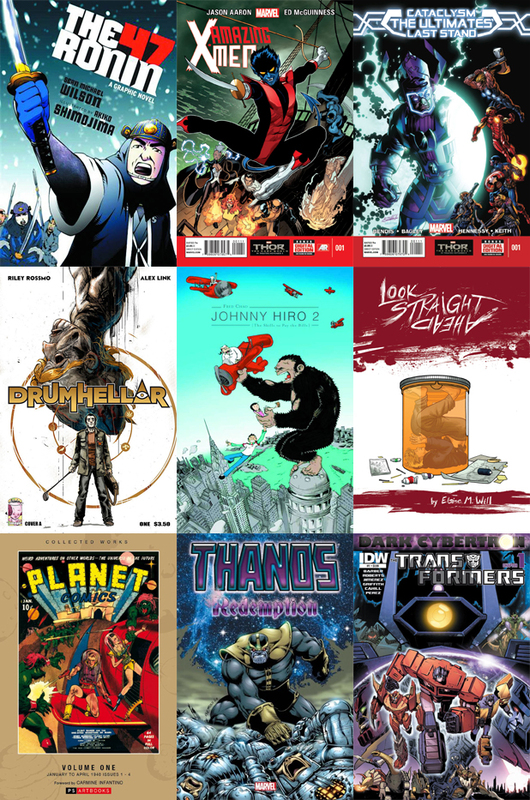 A look at the comicbook suggestions for books that shipped last week. Catching up! Having read Hunger, here’s hoping this mini-series event will have a lot more meat to it. Hunger felt like an overinflated prologue – and one that didn’t do much to help inform this reader. I constantly had to look up info on the Ultimate versions of Rick Jones, the Silver Surfer/Searcher, the Watchers, Captain Mahr-Vehl and others. And let’s be real here, I’m only interested in Cataclysm to see if Marvel will have the guts to end their Ultimate line or at least shape it into something new. Fred Chao returns for the second of three volumes of his Johnny Hiro character. This is a must buy on my list. If you were a fan of the revamped Marvel Cosmic concept starting in 2006 with Annihilation, then do yourself a favor and pick up this trade, especially for issues 7-12 by Keith Giffen and Ron Lim. This is the true starting point of everything that will lead into Annihilation, Annihilation Conquest, Nova and Guardians of the Galaxy (both pre-Marvel Now), and more. Although there are a few nuggets that spill out of Jim Starlin’s part of this trade (issues 1-6), Keith Giffen and company close the book on Starlin-esque stories and move the concept into straight space opera using other Marvel Cosmic concepts, creating new ones, reinvigorating older characters (such as Star-Lord) and just allowing a new voice to lead this corner of their Universe. Picked this solely for the Phil Jimenez contribution. I’m eager for Amazing X-Men #1. Storm, Firestar, Wolverine & Nightcrawer come me in.